HomeCinemaMasalaShahid Kapoor mesmerized by Arunanchal Pradesh. Shahid Kapoor mesmerized by Arunanchal Pradesh. Shahid Kapoor who has been shooting his current schedule of his upcoming film Rangoon in Arunanchal Pradesh just cant seem to get enough of the state! The actor who has visited the state for the first time is awestruck with its scenic beauty and diverse cultures. 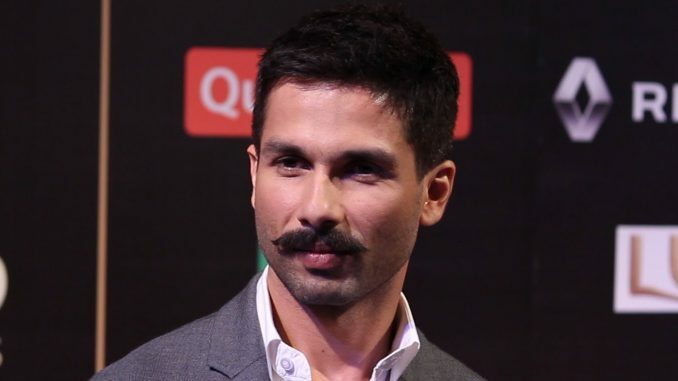 Rangoon is the first film of the actor to be extensively shot in the state. Arunanchal Pradesh, the largest amongst the Seven Sister States is rich in its biodiversity. The State has instore to offer many well known tourists attractions with flora and fauna in abundance. In addition to being mesmerized by its sheer natural beauty Arunanchal Pradesh being the only Indian State hosting a majority of diverse regional languages has captured the actor’s attention. The aura and the close to nature vibe of the State has left a lasting impression on Shahid who has been all praise for his stay in Arunanchal Pradesh. Shahid has absorbed his character in the film completely and was witnessed undergoing a drastic look transformation which intrigued his fans overall and guessing over which look would the actor don finally! Vishal Bharadwaj’s Rangoon also marks Shahid’s hatrick with the director who has already worked on 2 hit films previously! Guess : Baahubali’s Prabhas in demand for what?